Hi. Moved from Nexus5 to S8+ a week ago. Software is updated. My headphones are always plugged in. When in Silent mode and a call is coming, I can hear the ringtone through the headphones speakers, so this is not really a Silent mode. 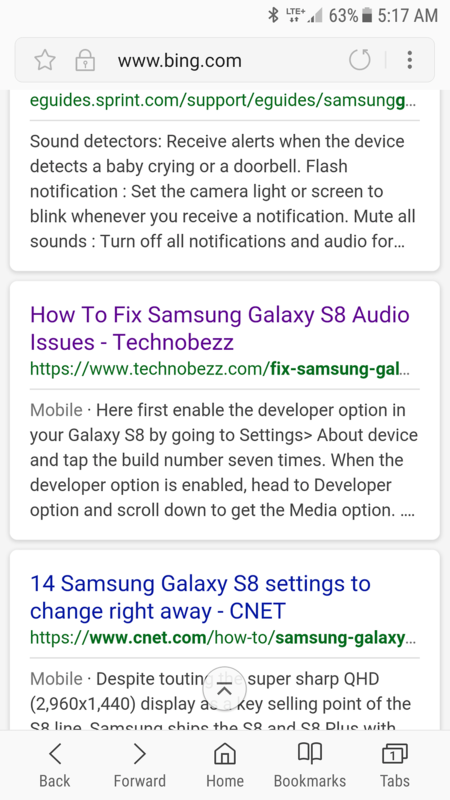 Can I automatically mute media while in Silent mode or even better, to cause a call ringtone not to be played in the headphones when it is not played in the speaker, like in my old Nexus5? Hello! all you need is to learn about the manufacturer products. On every device when you plug handsfree then the ringing tone will be played due to the system compilations. It is a very common thing and doesn't worry. Hi. Thank you for the answer but I do not understand. Where in my Samsung phone can I change this setting? There a few other websites that explain this subject. In addition you tube has many how-to videos that will help you!